As an Instructor, Web Developer, Content Manager, Usability Consultant, and Information Architect I have developed a number of products over the years. This section Includes brief descriptions of a few of those projects. In 2014 I started building a Digital Textbook to help my Digital Publishing students learn how to meaningfully format and present digital content. The textbook offers step-by-step instructional videos design to provide students with content markup and responsive website design experience. 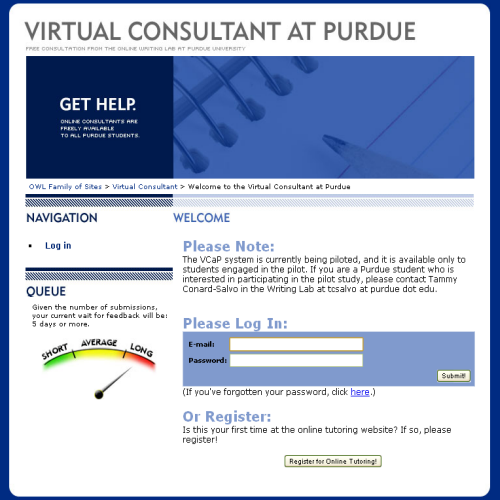 As the OWL @ Purdue's (OWL) Webmaster I was responsible for the organization's 2010 website redesign. Included in the redesign was the creation of a new navigation schema, a new taxonomy, and a dynamically generated Site Map. As an Instructor, Web Developer, Content Manager, Usability Consultant, and Information Architect I have developed a number of products of the years. Included below is a brief description of two such projects. As a Web Developer and Technical Coordinator for the East Central Writing Centers Association 2009 Conference I was responsible for the design and development of the conference's Web site and online submission system. Also included in the project was a secure portal conference organizers could use to review, rank, and either accept or reject conference presentation proposals. "Paginating and Printing Large Scale Productions." University of Alabama at Birmingham, Birmingham, AL, 2015. "Photoshop for Professional Writers: An Introduction." University of Alabama at Birmingham, Birmingham, AL, 2014. "Crafting an Effective Cover Letter." University of Alabama at Birmingham, Birmingham, AL, 2014. "The Rhetoric of Résumés." University of Alabama at Birmingham, Birmingham, AL, 2014. "Teaching Visual Rhetoric in First-Year Composition." University of Alabama at Birmingham, Birmingham, AL, 2013. 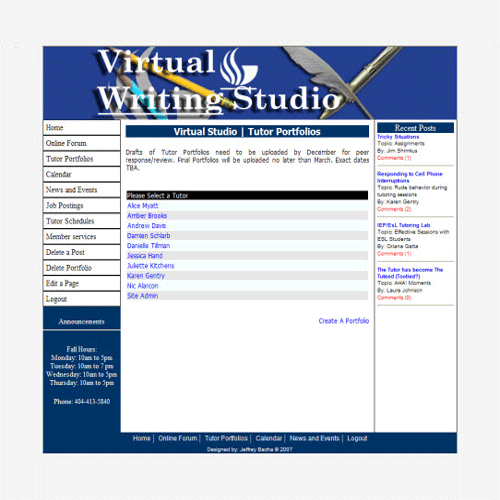 "The Portable Professional Writer: Portable Open Source Software and 'on-the-go' Composition Practices." University of Alabama at Birmingham, Birmingham, AL, 2013. "Developing a Virtual Classroom." Georgia State University, 2007. "Setting Up a Screen Capture Usability Study." Georgia State University, Atlanta, GA, 2007.